?Use with or without the pivot/tether. The pivot tether connects the two keying modules of the Freestyle2 keyboard together. ?Left and Right V-Lifters: the V-lifter quickly and easily alternates the slope of the keyboard from 5, 10 and 15 degrees, positioning your forearms and wrists in a more comfortable position by reducing pronation. 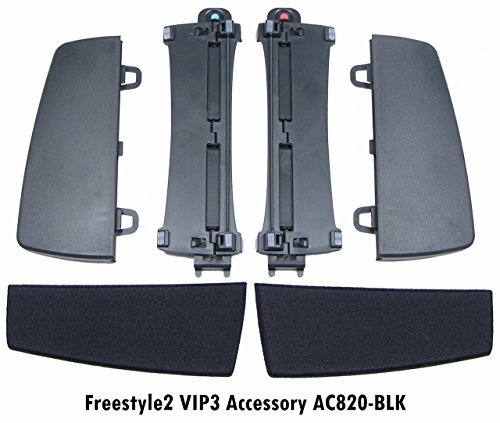 VIP3 attaches easily to the base of the Freestyle2 Keyboard allowing quick and reproducible slope settings of 5, 10 and 15 degrees. If you have any questions about this product by KINESIS, contact us by completing and submitting the form below. If you are looking for a specif part number, please include it with your message.